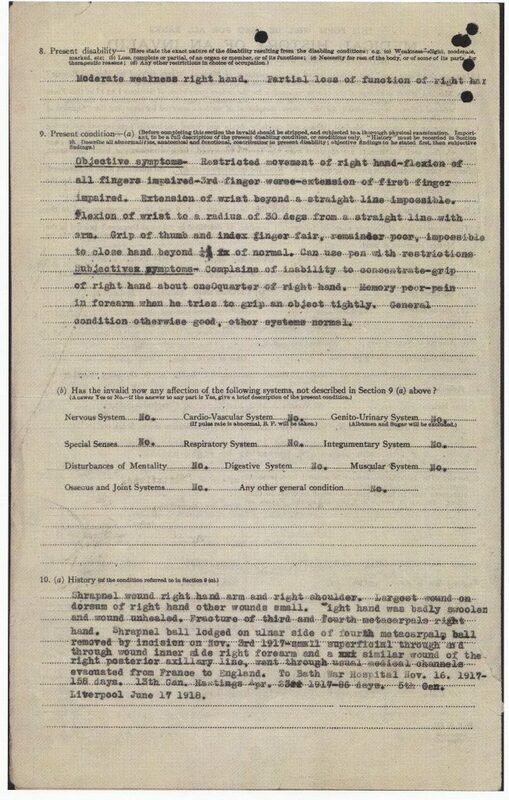 Restricted movement of right hand – flexion off all fingers impaired – 3rd finger worse – extension of first finger impaired. Extension of the wrist beyond a straight line impossible. Flexion of the wrist to a radius of 30 degs from a straight line with arm. Grip of thumb and index finger fair, remainder poor, impossible to close hand beyond 1/4 of normal. Can use pen with restrictions.